President Barack Obama returns to the White House on July 5, 2016, in Washington, D.C.
Barack Obama’s foreign policy should not be reduced to a simple bumper sticker phrase. Not even one as pithy as the “Don’t do stupid s—t” mantra that is now being bandied about. Proof of this can be found in Susan Rice’s hands-down rejection of that term as the fulcrum of the Obama administration’s foreign policy decision-making. “Nobody that I know of—at least who speaks with any authority—ever claimed that that was the Obama doctrine,” the president’s national security adviser told The Root. There’s also another, more compelling, reason to reject it. As part of The Root’s series His Lasting legacy, we're taking a look back at the work of President Obama’s White House over the past eight years. This time we're examining his efforts on the international stage. Obama has long espoused two principles that drive his thinking in the foreign policy arena. Then, during a televised debate among Democratic Party presidential candidates on July 23, 2007, Obama laid out the second defining marker of his foreign policy when he was asked if, as president, he would talk to the leaders of countries like Iran, North Korea and Cuba—without preconditions. Saying he would, Obama offered this explanation: “The notion that somehow not talking to countries is punishment to them is ridiculous.” The United States could accomplish a lot more, he suggested, by actually talking to its adversaries. The president’s critics look at his administration’s actions—or inactions—in the foreign policy arena and proclaim him feckless. Proof of this contention, they charge, is the nuclear deal Obama struck with Iran that delays for at least 10 years its production of a nuclear weapon (an agreement Israeli Prime Minister Benjamin Netanyahu and his Republican allies in the U.S. Congress tried to shuttle); Obama’s failure to order an attack on Syria after it ignored his warning of dire consequences and used chemical weapons in that country’s civil war; and the president’s reference to the Islamic State group, or ISIL, the terrorist organization, as a JV team. But those are the calibrations of people who misunderstand, or underestimate, Obama. During a 2012 White House meeting, Payne probed the soft underbelly of the relationship between Obama and some of his generals. “Are you satisfied that the top military brass accepts your withdrawal plan?” Payne asked the president, about his decision to significantly reduce the number of American troops in Afghanistan, just minutes into an hourlong conversation Obama had with 10 members of the Trotter Group, a loosely knit organization of black columnists and commentators. “I think everybody from Bob Gates, my defense secretary, to Dave Petraeus, the commander on the ground, to the Joint Chiefs of Staff, understand very clearly that starting July of next year we are going to begin a process of transitioning out of Afghanistan,” Obama answered. Looking back at his exchange with Obama, Payne—who was an Army captain on the staff of Gen. William Westmoreland during the Vietnam War—finds evidence that Obama did not cede to his generals the most important foreign policy, military decisions of his presidency. There is something else that defines Obama’s thinking in the foreign policy area more than the “don’t do stupid s—t” label. It is his focus on what he perceives to be existential threats to this country and its global interests. That’s what drove Obama’s effort to broker a nuclear deal with Iran and to organize a global fight against terrorism, his supporters said. He wanted to keep nuclear weapons out of the arsenal of a country he believes is a sponsor of terrorist organizations—some of which could threaten the American homeland with massive destruction if they get their hands on a nuclear bomb. 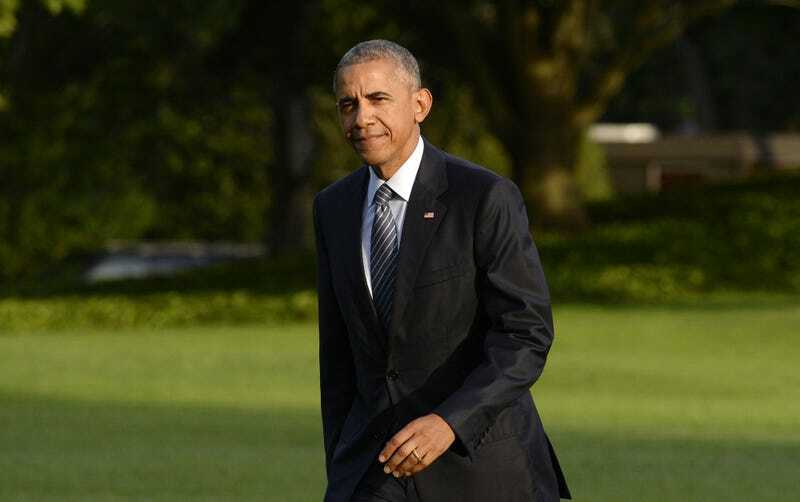 “I think he got the big things right,” Ernest Wilson III, dean of the University of Southern California’s Annenberg School of Communication and Journalism, said of Obama’s foreign policy. But Wilson said he also believes that some of the criticism of the president’s foreign policy results from a failure to communicate. “So he got the big things right, but in terms of being able to articulate a particular vision and framework, which could send a message to friend and foe alike about what he would and wouldn’t do, he’s just not that kind of guy,” said Wilson, who served as the director of international programs and resources on the National Security Council during Bill Clinton’s presidency. He also advised Obama’s presidential transition team on communication technology and public diplomacy. While much of the media’s attention to Obama’s foreign policy has focused on the Middle East and the war on terrorism, there is a wide perception that this nation’s first black president has paid little attention to Africa. Although Payne said Obama “is one of the most consequential presidents in American history,” he panned his efforts in Africa. Rice sees it differently. Among other things, she points to the help the Obama administration gave Africa in the fight against the Ebola epidemic and the administration’s push against government corruption across the continent. She also could have mentioned Power Africa, the multibillion-dollar campaign Obama launched in 2013 to dramatically increase electrical power to people in sub-Saharan Africa, and the president’s strategy for enhancing trade with African nations. While Africa has not been a front-burner issue for Obama’s foreign policy, it hasn’t been ignored. "‘1st Gay President’? No. But Is Barack Obama an LGBT Ally? A Resounding Yes"
DeWayne Wickham is a syndicated columnist, as well as a founding member and former president of the National Association of Black Journalists. He is also dean of the School of Global Journalism & Communication at Morgan State University.